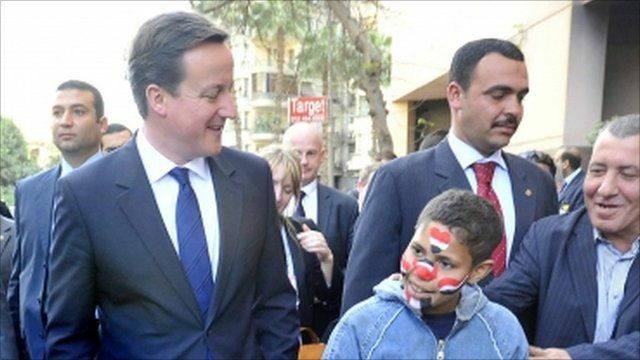 Cameron welcomed by Egyptians Jump to media player David Cameron meets locals in Cairo in the first visit to Egypt by a world leader since President Hosni Mubarak was forced out of office. 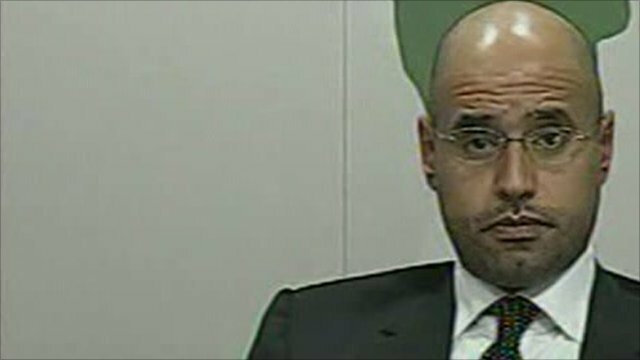 'We don't want a civil war' Jump to media player Saif al-Islam Gaddafi has appeared on Libyan TV and accused people outside Libya of provoking violence, adding that the reported numbers of deaths in anti-government protests were "imaginary". 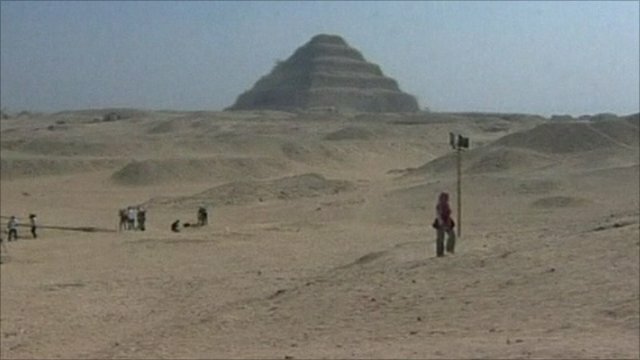 Egypt urges tourists to return Jump to media player Egypt has re-opened many of its museums and historical sites which had been closed since the unrest began in January. David Cameron has arrived in Egypt and met locals on the streets around Tahrir Square. He is the first world leader to visit the country since President Hosni Mubarak was forced out of office. The UK prime minister will hold talks with officials from the country, which is under military rule. He said his visit was a "great opportunity" to push for democracy to be established in Egypt.